I am sharing pool mining with a friend with equal cards. We are splitting what we mine in half. I also have a couple extra cards of my own. I want to have one wallet for our shared stuff and one coming from my private mining stuff. In bitcoin-qt how do I setup a wallet for the group one and a wallet for just me on the same computer? Do I just copy in and move out wallet.dat files when I want to use one or the other? Also what if I want to move money from one wallet to the other how would I do that? Both wallets are on the same computer? You can use a combination of command-line arguments in a shortcut, namely, the "-wallet=" and "-rescan" arguments, to run Bitcoin-qt using different wallets. And rename your wallet file. In this example we will name it "Personal Profits.dat"
Start up Bitcoin-qt and let it generate a new wallet file (upon finding that there's no "wallet.dat file, the client creates a new one). Encrypt it (use a strong password) and close the client. 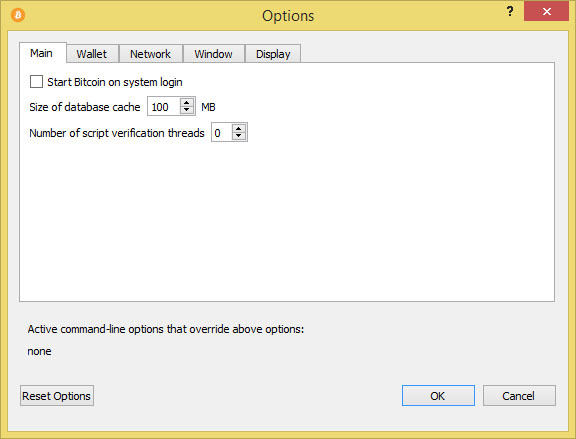 If you already have a shortcut created to start up Bitcoin-qt you can make a copy (The original will keep on working with the newly generated wallet.dat, the new one will use a manually specified wallet file). Otherwise create 2 differnt shortcuts for the client, leave one as is, and edit the other one as noted here. As for how to transfer money from one wallet to the other, while running the client using wallet A, take note of an address on the wallet. Close the program, and run the other shortcut. Now use the send option on the client and fill in with that address. (Method can be used both ways). it gets a little tricky sending funds from one account to another this way, though. note that I'm not showing the output, by the shell, of the jobs starting and stopping in the background, because it can be unnecessarily confusing. Americancoin server has now stopped running! wait another two minutes or so, there's more to do with -rescan. that unlocks the wallet for 60 seconds, assuming you have set a passphrase for it... in Linux, precede the command with a space so that Bash doesn't store the passphrase in your .bash_history file. the true above was the output of the command. you don't really want to lose any money shuffling funds between accounts, do you? you probably ought to cut-and-paste the address to avoid mistakes! again, the 2nd line is the output of the command, the transaction number. just remember to shutdown the program before each change of wallet, and to startup with -rescan afterwards (or however it's done with bitcoin-qt). Is one Bitcoin node has One wallet only?